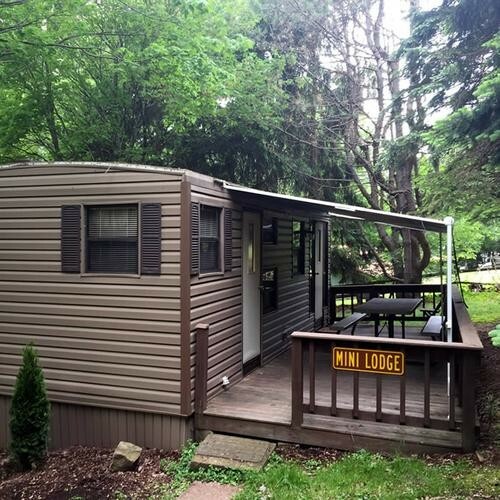 This park model-style unit is located in the heart of the campground, close to the pool, playground, office, camp store and arcade. 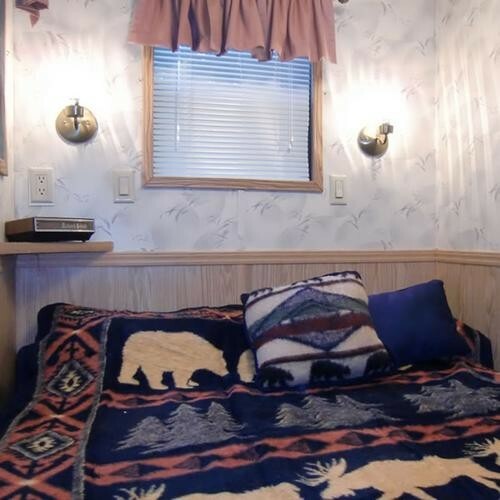 It contains many of the amenities of the family lodges, with two bedrooms and full living and dining spaces. 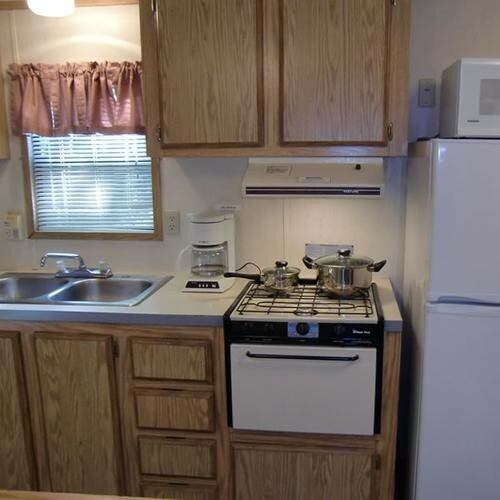 What sets this unit apart is that it its quiet, more secluded location. It boasts a covered sitting deck facing away from the activities and towards its own wooded space. 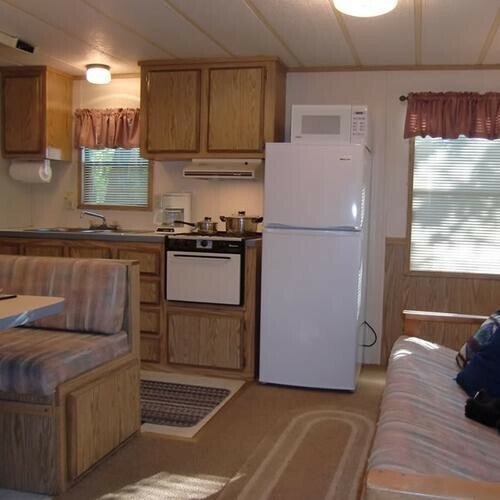 It also has a larger space to have a campfire or cookout. A great choice for families wanting a mix of activities and relaxation. Friendly pets are permitted. #19 on map.Call for current rates and availability.